Globe Telecom and The Walt Disney Company Philippines recently announced a major collaboration. This campaign aims to promote volunteerism and good will among all Filipinos. 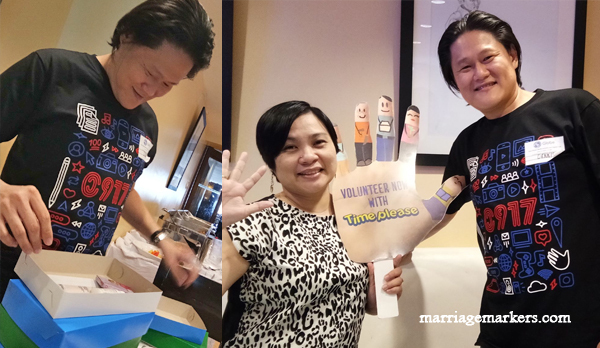 The wife and I joined forces and gave some time for Time Please–a volunteer program initiated by Globe Telecom and Disney Philippines. Under Globe and Disney , “Time Please” is a nationwide volunteering program that encourages all Filipinos to provide volunteer work. Individuals, groups, and companies can join. They are encouraged to participate in existing volunteer programs in the portal or they can start their own. Time Please supports Globe’s commitment to the United Nations Sustainable Development Goals (SDGs). It appeals to the strong culture of volunteerism among Filipinos, which is firmly rooted to our bayanihan spirit. In the volunteer matching portal, www.timeplease.ph, the program strives to match individuals and groups to various volunteering activities available around the country. 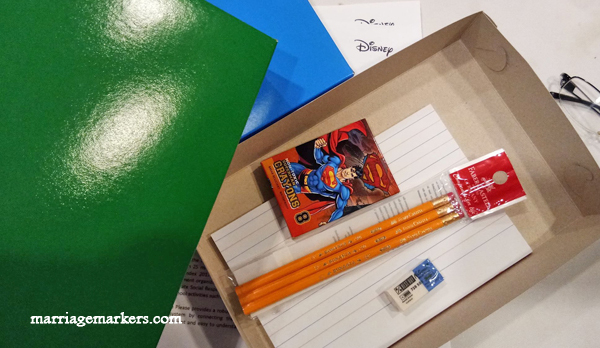 The gift box I filled with school supplies that will be given to underprivileged children. Of course, it had to have a box of Superman crayons! Meanwhile, companies and organizations or even groups that have existing volunteer programs can enlist their activities in the platform. That way, it can open the movement to more programs and people getting involved. You can then get your volunteer hours registered in this initiative. The Philippines ranked 7th country for the highest number of people worldwide who have volunteered in various causes. This information was revealed by the Charities Aid Foundation (CAF) World Giving Index 2017. The Negrense Bloggers, a.k.a. Bacolod bloggers, joined in the Time Please movement help at 21 Restaurant here in Bacolod City. 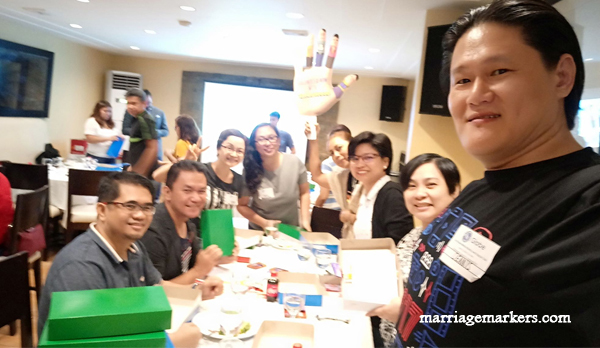 The volunteer activities are mobilized by various sectors, such as NGOs, government agencies like the DENR, CSR initiatives of companies, foundations, schools, and even the private sector. The Time Please campaign provides a robust menu of volunteering activities. It unites the volunteering ecosystem by connecting the volunteers to volunteer organizations. It uses a simple, convenient, and easy to understand web platform.